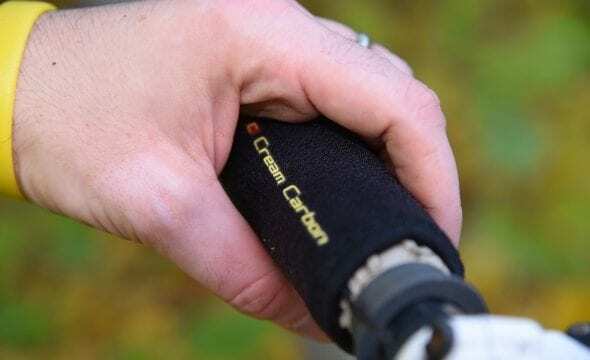 Cream Carbon’s solution to cold hands this winter is a heated grip that not only takes you literally seconds to fit, but negates the need to slice off the old grips or plug into the bikes battery. 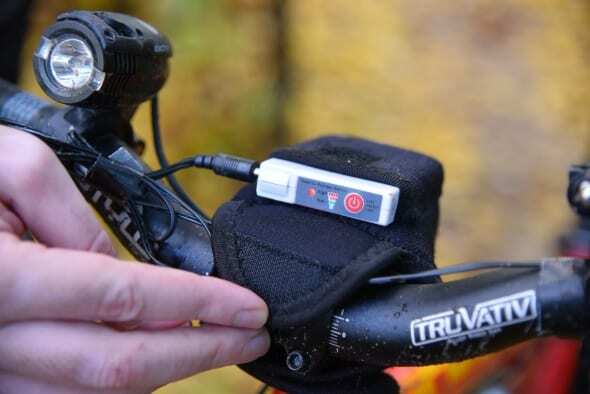 You merely slide the waterproof neoprene cuffs over your standard grips, plug into a battery that comes complete with a pouch to secure to your bars, choose your heat setting and away you go. There are other temporary grips in the market place, Oxford’s Hotgrips have had plenty of use on my bikes to keep me going in adverse conditions, though the grip is pretty thick and requires a feed from the battery. Cream Carbon’s grips are slim which gives you more feel on the bars, they are held in position by a thin elasticated strip as part of the grip allowing the cuff to be expanded onto the bar, sitting tightly in position. 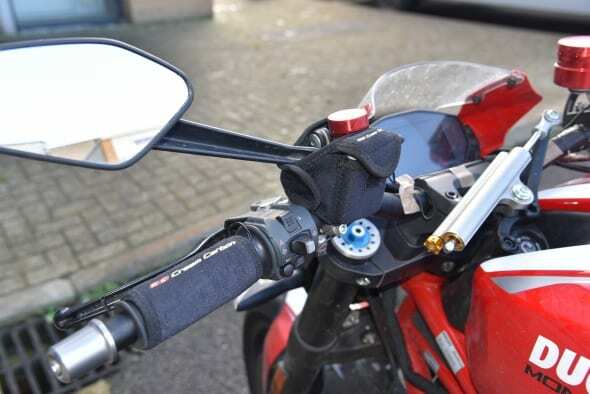 My first outing with the grips was on a Ducati Monster 1200R. As suggested the fitting was easy, battery pouch held firm rapped around the brake reservoir with the wires tidied up with a bit of tape. I noticed a small amount of slippage on the throttle but not so much as to deter me using the Cream Carbon product. 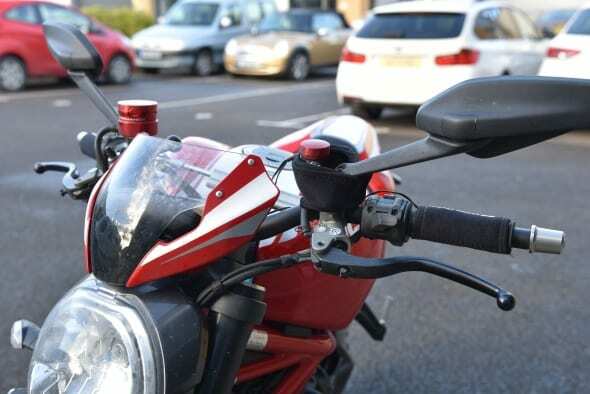 These grips are a universal fitment and Ducati bars are potentially a gauge or two thinner than the norm. Setting the battery to full power gives you just over 2.5 hours of 45 degrees of heat. 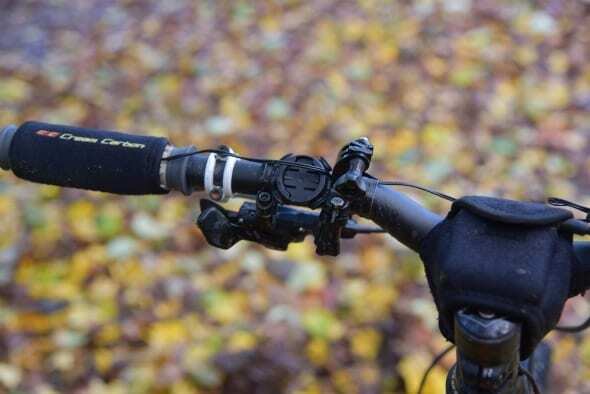 Putting this into context a fitted or OE hot grip can get upto over 80 degrees, so half this heat will struggle to penetrate a full on winter glove – but if you are riding with a mid term or summer glove the warmth comes through nicely. 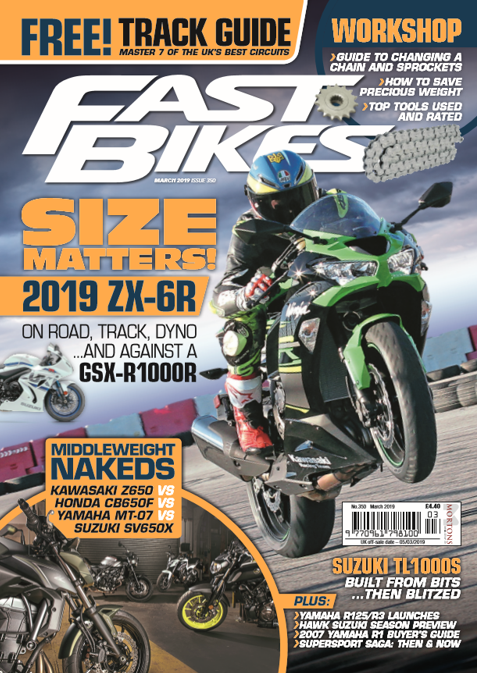 It’s the versatility of this product I particularly like, removing the grips from the Ducati to my Off-Roader, an ATV perhaps and even my Mountain Bike. When I cant ride my KTM I get out on the trails on my Mountain Bike and they work extremely well in this environment too, though you don’t keep them on full heat for long with the blood pumping, on the lowest setting of 30 degrees you have 4hrs of charge to play with. Overall a good product that may not provide as much heat as other options in the market, but are versatile, multi functional and at a price of £59.99 (complete with one rechargeable 3.7 volt lithium –polymer) very affordable. Additional batteries (that take 3hrs to charge fully) are available at a cost of £29.99. Though if you are at Motorcycle Live this week I understand that M&P are giving away a free second battery with every purchase. I would say well worth a look. + Ease of Fitting, versatility and Looks. – Can’t use with a full winter glove. Previous Post:New 2017 Norton V4 SS & RR Superbikes!